After several years in the making, SEPTA is finally ready to begin a full rollout of the SEPTA Key Card, a convenient payment method that will end Philadelphia's run as the last bastion of the American token. Beginning Thursday, SEPTA will transition from the "early adopter" phase launched last June to 10,000 participants. Starting at 69th Street Transportation Center, SEPTA customers will be able to obtain a Key Card by purchasing a weekly or monthly TransPass, a Convenience Pass or by loading funds to a Travel Wallet. "The SEPTA Key is making travel more convenient for our riders, as reloadable cards are replacing outdated fare instruments such as magnetic-stripe passes, tokens and paper transfers," said SEPTA General Manager Jeffrey D. Knueppel. "We look forward to welcoming more riders to the future of fare payment with this latest program expansion." SEPTA chose to begin the public rollout at 69th Street because, with 36,000 daily riders, it is the agency's largest transit hub. On Monday, Feb. 13 and continuing through February and early March, SEPTA will activate Fare Kiosks at all Broad Street Line stations, all Market-Frankford Line stations and all major bus loops. A full rollout schedule can be found here. 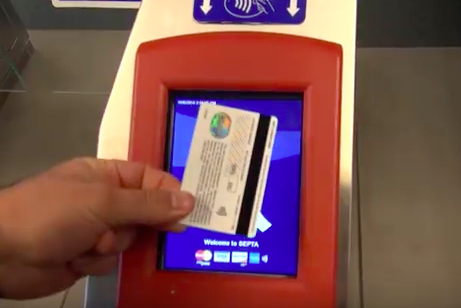 With a SEPTA Key Card, riders will have the option to load their fare cards online, over the phone and at kiosks, with an additional choice to set up an automatic reload. Initiated in 2011, the $140.6 million SEPTA Key modernization project will eventually encompass 1,850 onboard fare processors, 350 vending machines, 650 turnstiles, 550 platform validators, 300 parking payment stations, 480 handheld sales devices, 1,200 offsite card purchase locations and 2,000 card reload locations.